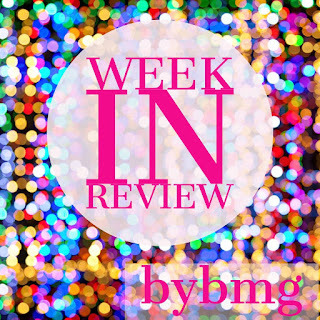 bybmg: High Five for Friday 4.6 - Easter! High Five for Friday 4.6 - Easter! Before we get into the highlights, don't forget to enter my giveaway for leather earrings! Saturday I had a little pampering time. I got my hair cut and highlighted. I went quite a bit more blonde, and I think it will be fun for spring/summer. Saturday I also baked a cake for Easter. I love how it turned out! I felt like I made something you would see on Pinterest! Easter morning the boys got up and enjoyed digging into their Easter baskets. Then we headed off to church. Our church had a breakfast after church and an egg hunt. It was chilly, but the boys enjoyed it. After our time at church we headed over to Russ's parents for Easter dinner. The boys had a fun indoor Easter scavenger hunt! We spent the rest of the day at home relaxing. The rest of the week was pretty chill. Wesley and I took a trip to Target so he could spend some of his money, buy a gift for his friend's birthday party, and I shopped for my $10 at Target. Wesley's birthday is tomorrow , so we have a big weekend ahead of us! 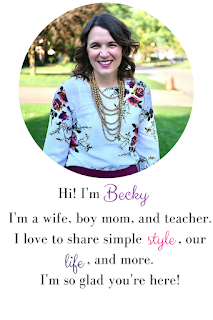 Our Feature Blogger this week is Whitney from Polka-Dotty Place! I love Whitney's blog. 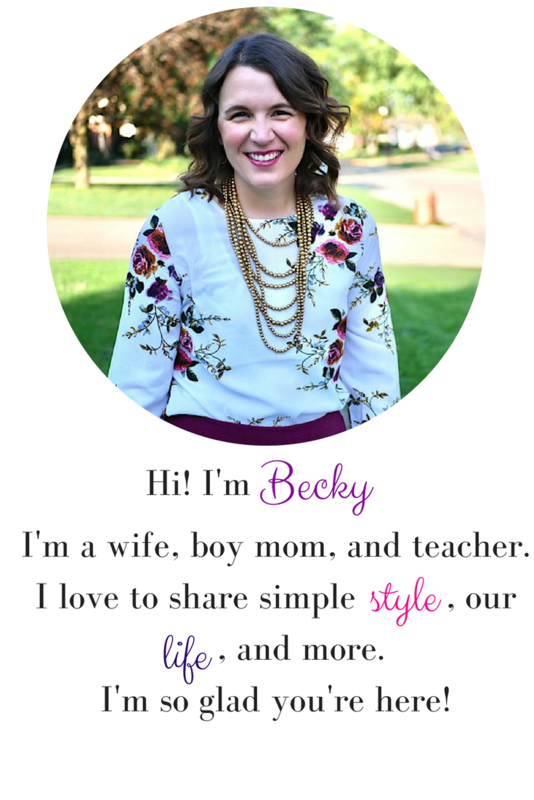 She shares fun things she does with her kiddos, deals she finds, books she reads, and great style. Make sure you stop over and say hello!